Otherwise, let’s push on, because I have an announcement. Yes, I needed that Blogging break to get it finished. That it’s finally being published is extremely exciting because it’s been a dream of mine since childhood. Right now I am extremely time-poor as it’s my last week to work on the FINAL edit of the manuscript. A laborious and challenging task but also thrilling because the light is at the end of the tunnel. I’m going to write more about the writing process and what changes are happening in the world of publishing down the track, but for now, this is just a quick post to give you a sneak preview of the cover of my book. It’s a work of fiction – completely made up – about a young television reporter named Rachel Bentley who aspires to be a newsreader. You see, working as a TV reporter has it’s challenges but aiming high leads to a whole minefield of explosive scenarios. Rachel’s path sees her pitched against egos in the newsroom, office politics and corrupt politicians, not to mention rampant sexism and a mystery stalker. Juggling a messy personal life doesn’t help either. 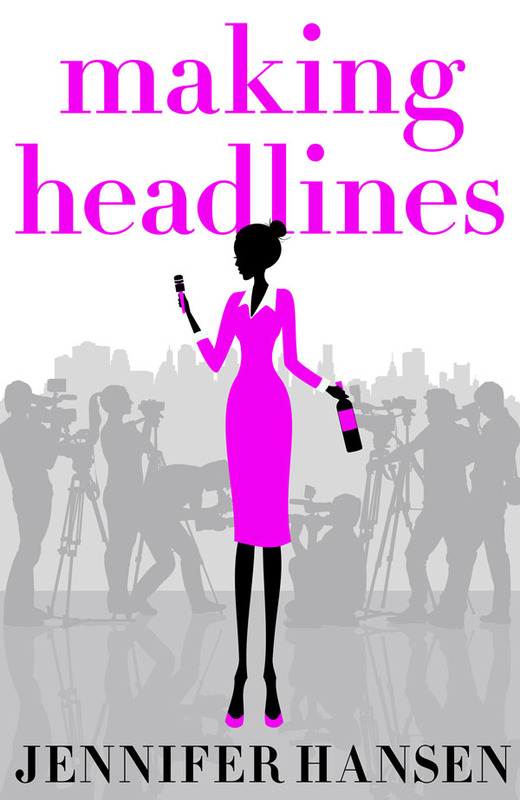 Not does the emotional impact of reporting on life’s daily tragedies and when it all takes a toll and Rachel starts partying too hard, she finds herself making the headlines instead of reading them. Will she survive a world where dreams are shattered daily and will she find the man who can help her keep her soul? You’ll have to wait to read the book to find out of course! I’m delighted MAKING HEADLINES is to be published by HARPER COLLINS PUBLISHERS who are Australia and New Zealand’s oldest publishing house and arguably, the most respected. My book will be available online as one of the Harper Collins Impulse books from late January, 2016. Stay tuned for more info and an exact date soon….